February 6, 7, 8, 9 & 10, 1973. RP wrote: “On reading this play one thing that struck me was the refreshing atmosphere already reflected in the title, is constant throughout. The zest for life with which Corrie Bratter faces marriage in a draughty apartment makes a pleasant and unusual change from some of the intenser [sic] aspects of life depicted in the modern theatre. That is not to say that I’m not a great advocate of the new drama, but I hope you will agree that there is always a place for this type of play. “We have passed the halfway mark in our season with much to be happy about and already we are planning for next season which will be our 25th. We aim to make it a bumper year and have high hopes of staging a super production in the Spring of 1974 as a Silver Anniversary celebration. Getting together the best talent in our community will be a great event in itself and something to anticipate with joy. Well, what have we to be pleased about – that is not a query and no mystery! The fact is that Nikki Le Roy’s production of The Lion in Winter turned out to be eminently successful. The Saturday night audience gave us what amounted to a standing ovation. This is always very heart-warming and makes all the trouble seem worthwhile. [We all like that little extra enthusiasm which says you’ve made it.] We can remember other similar occasions such as, for instance, the last night of Oh, What a Lovely War and Salad Days; we love it. Another thing we are pleased about is the way Vincent Joyce and our Set Designers and Constructors have organised our workshop. The co-operative efforts have provided some very fine settings. We could still do with extra help backstage so if any of you would like to be put on our duty roster please come forward. We really do need you. Once again Southwick is providing the drama news. Twenty-year-old Richard Porter, who is directing the next production of the Wick Theatre Company, Barefoot in the Park, is a very talented young man who has already distinguished himself as a set designed while still a student at the West Sussex College of Design, and has production of two or three one-act plays to his credit. For this, his first full-length play, he has a cast including, Monica Joyce, John Davidson, Alan Upton, Valerie and Jack Bingham and Nikki Le Roy. Performances of this Neil Simon comedy are from February 6 to 10 at the Barn Theatre, Southwick, at 7.45p.m. Wick Theatre Company is giving a first class presentation of Neil Simon’s comedy, Barefoot in the Park, at the Barn Theatre, Southwick, this week. The cast of six combines well to get the best out of this play, which is set in a New York apartment and is ‘domestic’ in the extreme. It is a triumph for producer Richard Porter, aged 20, tackling a three-act play for the first time. The American accent is well developed by the players without over emphasis. Monica Joyce in the rôle of a newly wed is on stage throughout and her performance is really good. John Davidson plays the husband with finesse and resists the temptation to overact, which some of the situations seem to encourage. Valerie Bingham is in good form as the bewildered mother, and Jack Bingham is first class as the ‘interloper’. Their ‘after the party scene’ is a gem. Alan Upton as the telephone man and Nikki Le Roy as the delivery man do well in smaller rôles. The setting is well conceived, the decor and lighting being of a high standard. The designer is Vincent Joyce, who was responsible for the set of The Lion in Winter. A first-class team effort of which Wick may be justly proud. The final performances will be given tonight [Friday] and tomorrow at 7.45p.m. 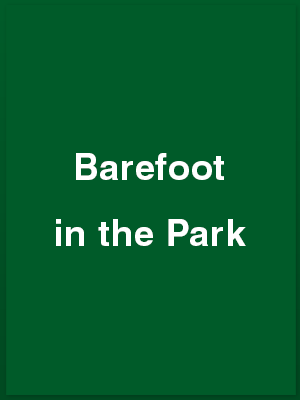 Currently presented, with a final performance tonight, is Neil Simon’s comedy, Barefoot in the Park, at the Barn Theatre, Southwick by the Wick Theatre Company. This hilarious story of the first week after the honeymoon of young Mr. and Mrs. Bratter and the strange affair of Corrie Bratter’s mother with Victor Velasco is in the best tradition of slick American humour and very funny indeed. This production by Richard Porter maintains a smooth swift tempo admirably coordinated movement and tight characterisation. Vincent Joyce has designed a quite exceptionally good setting which enhances the whole impact of the play. Much depends on the playing of the ebullient Corrie Bratter and Monica Joyce invests the part with tremendous enthusiasm verve and attack; she gives a very good performance indeed. Her nice new lawyer husband Paul is played also with considerable energy by John Davidson, anxious to please, excited over his first court case, utterly bewildered by Corrie and, let’s face it, a bit of a stuffed shirt part of the time. He makes an admirable partner to his wife. Valerie Bingham is Corrie’s mother and is admirably in character this well-meaning but somewhat irritating lady. Jack Bingham is the eccentric Victor Velasco the fourth member of this strange quartet and is the complete flirtatious but harmless, very nice man. Alan Upton is the taciturn telephone man, Nikki Le Roy appears briefly as a delivery man. All in all a most delightful presentation and if you can get in tonight go and see it. It starts at 7.45 p.m.